Ever notice that people hate government but love certain government agencies? 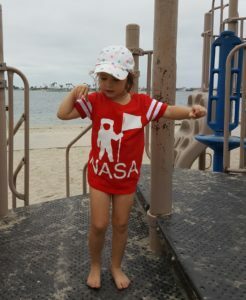 A couple years ago I was shopping at Target and noticed racks full of NASA-branded merchandise for sale. The idea that bureaucraphobic Americans would pay to wear a garment with a government agency’s logo printed on it startled me. Evidently people feel pretty good about NASA. Corporations work very hard (and mostly fail) to create that kind of brand loyalty, and with good reason: brand equity is a great source of profitability for businesses. Around the same time I joined a group of researchers at the Texas A&M Institute for Science, Technology, and Public Policy (ISTPP) on a big project about the Water-Food-Energy Nexus. ISTPP conducted a national public opinion survey on water, energy, and agricultural policy as part of that effort. Inspired in part by my Target shopping experience, I wondered: would public support for government regulation of water, energy, and agriculture change if it were associated with a particular agency? In other words, do federal agencies have brand equity with the American public? To tease out agency brand effects, we embedded an experiment in our survey. We asked a randomly selected 50% of our respondents about the proper role of the Federal Government in managing energy and agriculture; the other 50% of participants were asked about the U.S. Department of Energy or the U.S. Department of Agriculture. For water, we split the sample in thirds: one third were asked about the Federal Government, one third about the U.S. Environmental Protection Agency, and one third about the U.S. Army Corps of Engineers. Of course, all of these agencies are bureaucracies within the federal government. So qualitatively “Department of Energy” and “Federal Government” are the same thing. It turns out that, as with so many things, Democrats and Republicans see things in different ways. 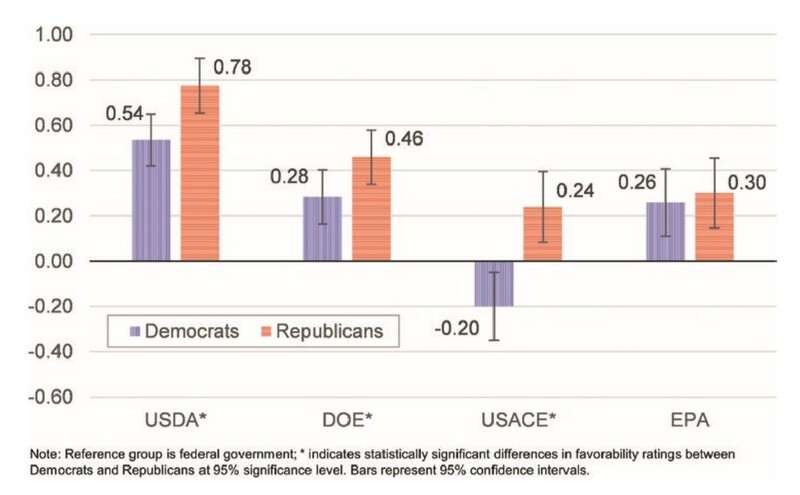 Average positive brand effects were stronger for Republicans than Democrats, maybe because the former have negative attitudes toward the “generic” Federal Government. But the most fascinating thing is that the Corps of Engineers had opposite effects on partisans: positive for Republicans, negative for Democrats. You can read the full details of the study in an article I authored with Seung-Ho An, now forthcoming in JPART. In a future post I’ll ponder what all this means for policy and public management. 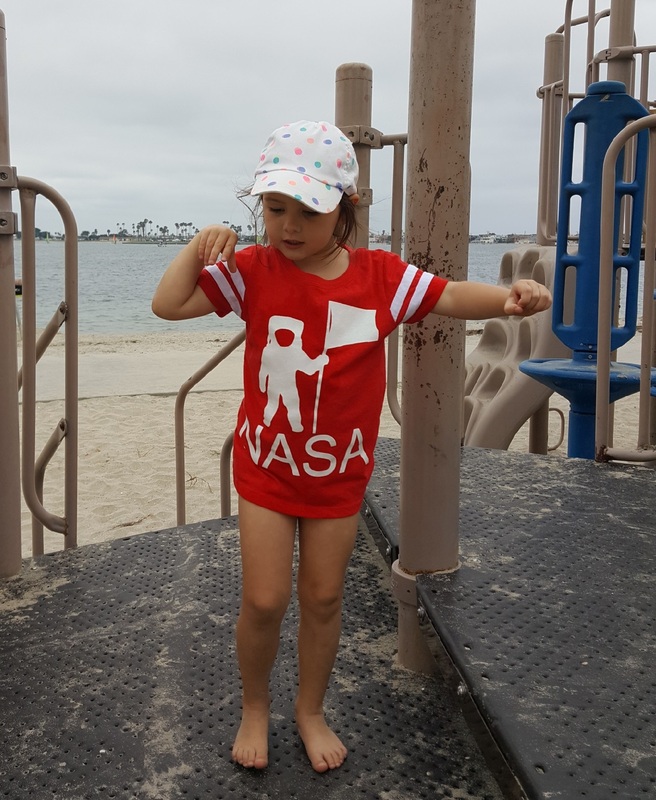 Oh, and I did end up buying a NASA t-shirt for my niece. She’s adorable. Before being abolished by Congress in 1995 using the appropriations process, the US Bureau of Mines had similar brand recognition to the US Army Corps of Engineers. Thus when then-Speaker Gingrich put pressure on Chairman Regula to abolish an agency to fulfill his political promise, the Republican-controlled Congress sent a Democratic President a bill abolishing an agency established in a 1910 Act of Congress, knowing it would be signed because the agency brand was weak within the Executive Branch. As the Bureau’s Director at the time, I was always keenly aware of government agency branding. It permeates so many decisions and outcomes within the larger jostling for power within Federal government bureaucracy. And your niece lucky to have an uncle like you.